Last week’s rollout of SwiftKey 7.0 is the intelligent keyboard app’s biggest update since joining Microsoft in April 2016. Available on both Android and iOS, SwiftKey 7.0 debuts Toolbar, an expandable menu found under a new ‘+’ sign on the left of your prediction bar that gives you fast and easy access to both new and existing features. For Android users, Toolbar will replace the existing Hub. Tapping on the ‘+’ will reveal not only the features and settings you’ve come to know and enjoy using on your SwiftKey Keyboard, but also exciting new features from this update. SwiftKey 7.0 features Stickers, giving you even more ways to express yourself beyond words. You can add Stickers to your messages as they are or customize them to add your own style and personality to a message. 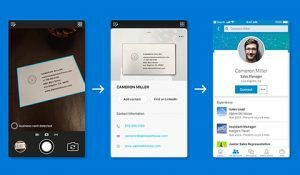 Save your favorite Stickers – edited or otherwise – and access them later in Collections, found by tapping on the Pin icon on the Toolbar. 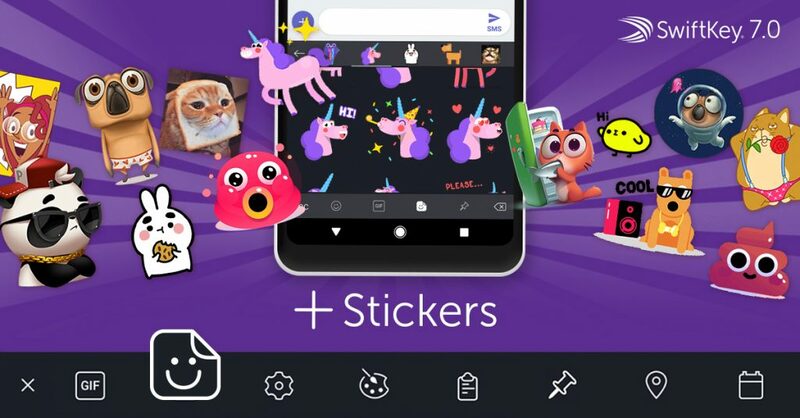 We’ve got exciting plans for exclusive Microsoft Sticker packs that will be coming to SwiftKey soon. Stay tuned for new features and Sticker packs showing up on Toolbar! We’ve got two other new features that are coming soon: Location sharing (available to US and India users), which makes it easy to insert the address of a nearby location in a message and Calendar sharing which lets you insert a calendar appointment with a couple of taps. 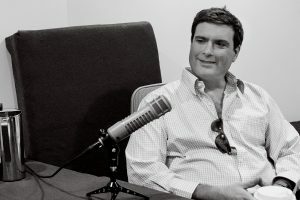 Location sharing adds to the robust set of features developed for Indian users. With today’s release, SwiftKey is also introducing eight new ‘Lish’ languages: Assamese (English), Bengali (English), Kannada (English), Malayalam (English), Marathi (English), Nepali (English), Odia (English), Telugu (English). A ‘Lish’ language is a hybrid language that lets people shift seamlessly between languages, in this case English and Indic languages. In total, SwiftKey now offers compatibility for over 40 Indian languages as well as transliteration and layout options. These new features complement SwiftKey’s core typing capabilities you rely on for fast and easy typing: smart autocorrect, Flow and next-word prediction. 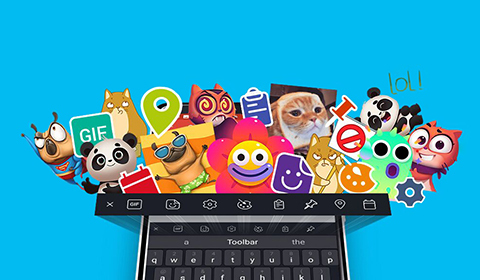 With the latest updates, you’ll have the access to GIFs, Stickers, Settings, Themes, Clipboard and more, bringing the same fast and easy typing to rich media too. 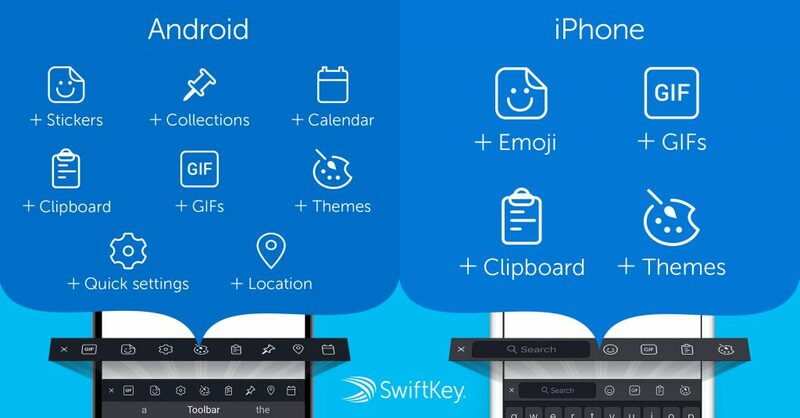 To get your hands on these new features and to try out Toolbar, update your SwiftKey for Android or SwiftKey for iOS now – and let us know what you think on Twitter!